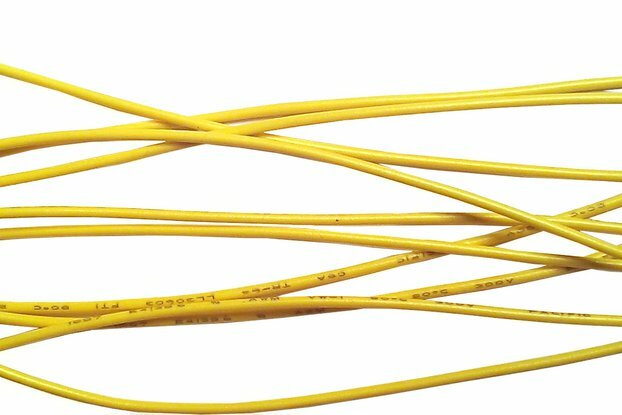 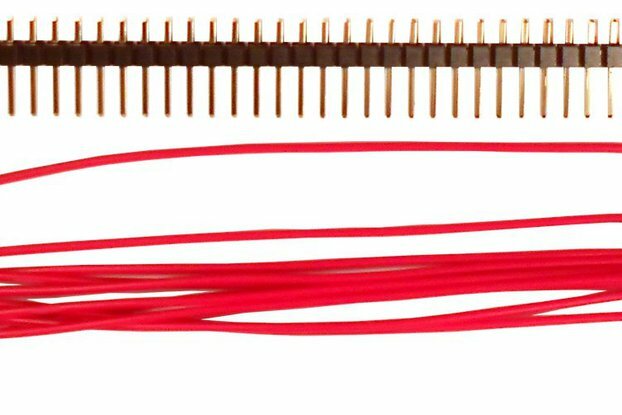 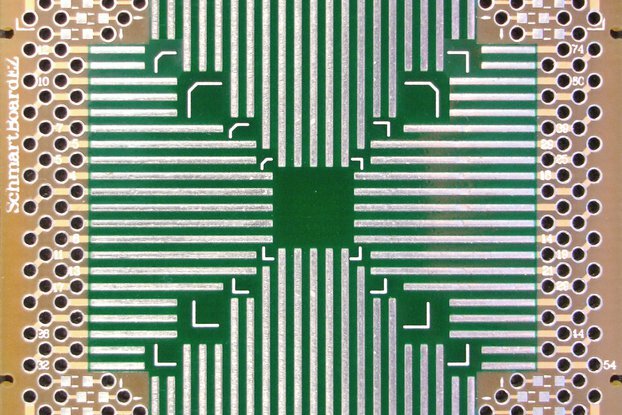 Supports .5mm Pitch 10, 32 Lead QFN devices. 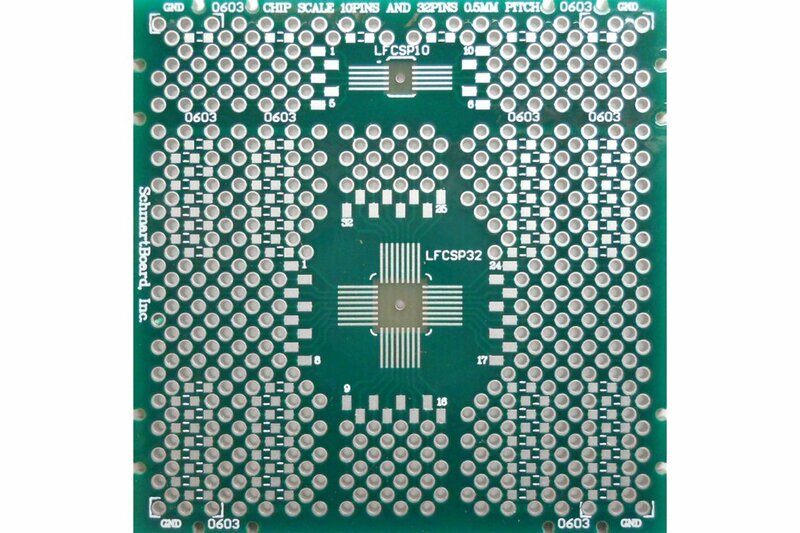 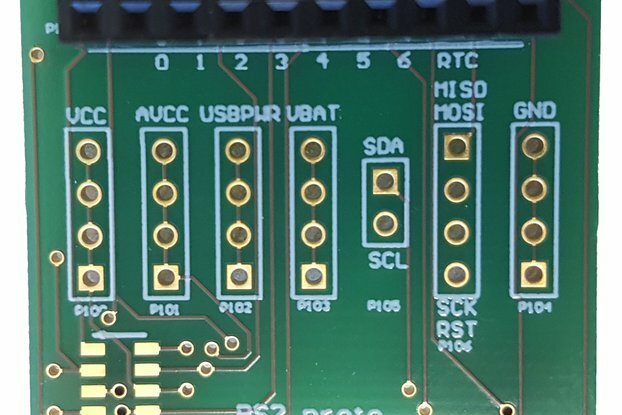 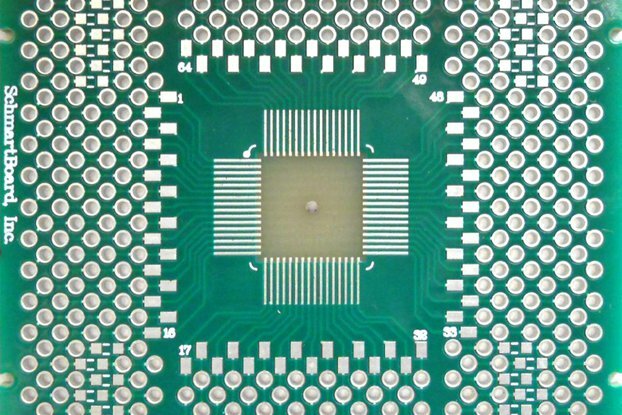 A hole in the center of each gives access to a ground or thermal pad on IC. 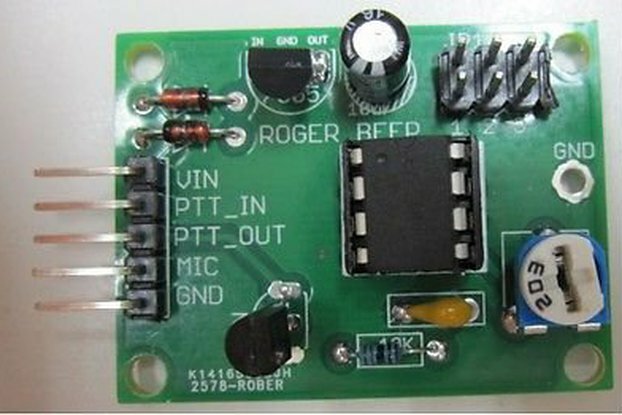 This 2” x 2” Schmartboard utilizes “Schmartboard|ez”. 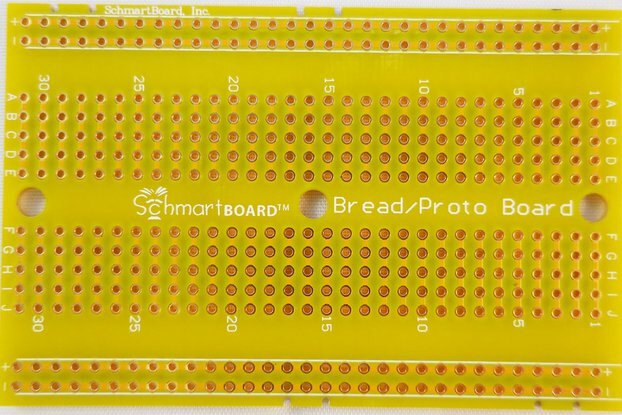 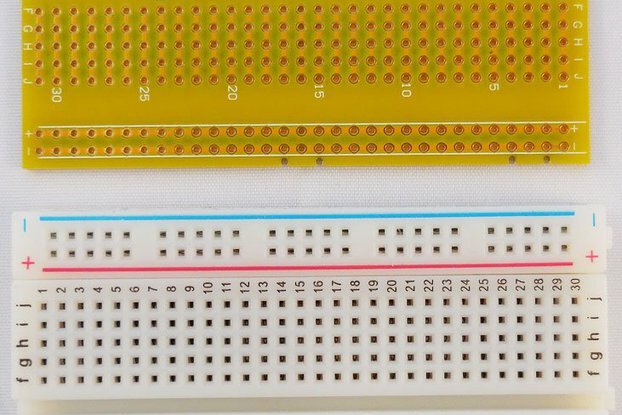 Only Schmartboard has this patented technology to assure fast, easy and flawless hand soldering of surface mount components! 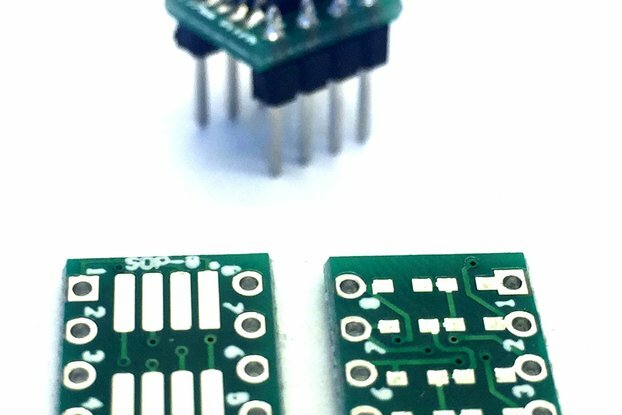 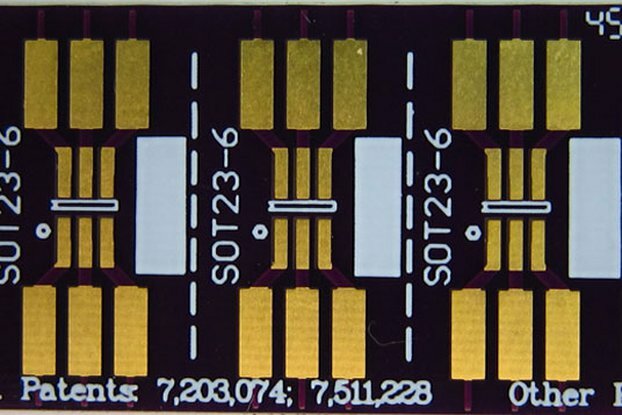 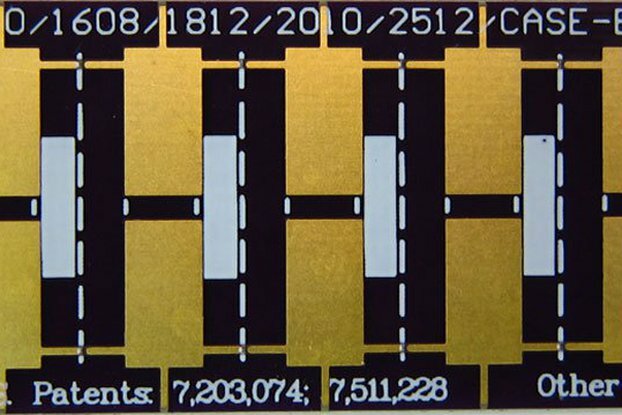 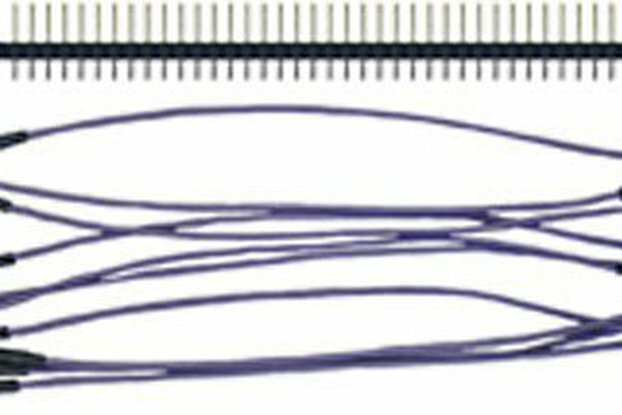 Only Schmartboard has a solution that makes hand-soldering QFN/DFN components possible!